WOW! What a true masterpiece… Where do I start? Can you believe that Nelson Mandela – one of the most influential people of last century who spent 27 years in jail, won a Nobel Prize, then went from being a prisoner to President of South Africa – would have celebrated his 100th birthday this year? It is wonderful to see a show give tribute to his legacy. And MADIBA the Musical is a true testament to a man who fought for both his beliefs and for the African people to have the freedom to choose their destiny. MADIBA the Musical entwines so many layers of African history from the divisions of the country to the torment of issues like unrequited love, bi-racial relationships, racial segregation, loyalty to the cause, the fight of apartheid in a diverse land while striving for freedom. There are some fictional story lines that are also woven into the mix, but these still capture the African culture, the essence of that terrible time in history and their fight for equal rights. MADIBA showcases two powerful acts that tell the story of Nelson Mandela’s life from 1960-1994. He starts out as a lawyer in the story [“How do you find just when the law is unjust?”, “No pass no walk”] which then leads to him being put in jail, his subsequent influences over the masses and his hold over his principals, his eventual release from and first vote and on to leading the South African country as its president. The cast were electric, passionate and their voices were all powerhouses! Their harmonies were sublime and the entire storyline was incredible. 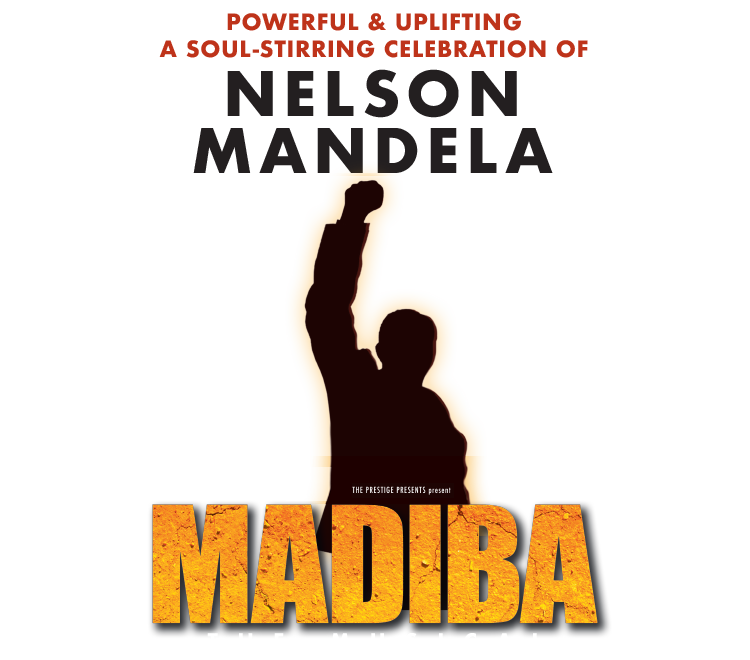 MADIBA shines with a brilliant, diverse music score featuring genres including R’n’B, gospel, rap, standard musical numbers, stirring anthems, love ballads, and a blend of traditional and contemporary dynamic African rhythms to bring this story to life. The choreography was also stunning, combining traditional African dance as well as contemporary, break, hip hop and slow-motion movement with the overall effect being powerful and embracing. The use of the stage was amazing! The story book unfolds as they flip through Will’s sketch book, which is projected on a full-sized screen at the back of the stage. The combination of the sets and scenic elements that are wheeled on and off, create rolling scenes. MADIBA is such a powerful, moving musical theatre production that little more is needed. When you thought that the screen was the back of the stage you were surprised find out that was not the case with a two-tier vertical stage behind the projection revealing a few scenes merged with the projections which gave this show yet another incredible dimension and, at times, also showcasing the live band. No matter what your background, it is truth that song and dance brings people together, and layered with such a powerful reflection of such an incredible man’s life and movement toward change, this show cannot help but move the viewer and stir-up emotions as it reaches deep into your soul. Ruva Ngwenya played Winnie Mandela, Nelson’s wife, portraying her immense love for him and his cause. Her strength shone through and her voice was like angels floating and truly captivating. “For all of Africa, the world of tomorrow.” “Look up the rainbow is shining bright for you and I.” From his time in prison through to his release, Winnie was a strong active voice and supported him throughout. Tim ‘Timomatic’ Omaji played Sam Onotou, the man that Nelson met during their prison time together. Sam is proud to follow Nelson and be in jail with him. Nelson picked him up at his lowest and taught and mentored him. He came out a changed man and pursued the cause with peace. He is in love with Sandy Xulu. Omaji was passionate presence on stage depicting his love for Sandy and their fight to bring kids up free in the world and for their voices to be heard. Sandy Xulu played by Tarisai Vushe – is the betrothed of Sam, loyal to him while he is in jail and she is also the maid of Peter Van Lenden, a white man who is the chief of police. She shows her determination and loyalty to free Sam by approaching Peter for help. Incredible strength shines through in the dialogue of the show. David Denis is the narrator giving it a modern twist by rapping his entire dialogue and break/hip hop dancing. It is not clear how he fits in until the end where he identifies himself as the child of Helena and Will and Nelson is his godfather, bringing the storyline together. He was highly entertaining with a few laughs along the way as well. Will’s character, played by Barry Conrad, was the glue in the storyline through his sketchbook – where black and white blend well together. He is the brother of Sandy. It shows his portrayal of South Africa as he engraved all aspects through his charcoal work. Will falls in love with Helena, the daughter of Peter, and it shows the struggle in their bi-racial relationship in South Africa as they strive for equality and recognition at a time of division. Helena, played by Madeline Perrone, is willing to fight her father for change and follows her heart to be with Will. It beautifully illustrates the moment where they connect through his sketchbook and their love is formed. Peter Van Lenden, played by Blake Erickson, is Helena’s father. He is an antagonist, however takes you on his journey and background to show how he came to believe that way, depicting this different perspective on what led him to believe so strongly one way or the other. I must also applaud the ensemble cast of MADIBA as they were dynamic and strong. The entire cast fed off each other and their energy and unity was beautiful on stage. I was fortunate to see snippets of MADIBA the Musical during rehearsals and to see the final product was truly breathtaking. During the rehearsal period I spoke with director Dean Drieberg as he shared his passion for the show with me reflected the same integrity and joy that the cast held, and their warmth and pride of their heritage. To feel these emotions, radiate from everyone was infectious and Dean was kind enough to give me some insight as to why this was the case. Refreshing and unexpected, the show cleverly blends darkness and light with touches of comedy. As horrendous as the storyline of events are, it’s delivered with a soulful positive message. Each scene moves so fast that they can fit so much into this show with no dead spaces to still produce a very entertaining show. There are so many surprises, twists and turns. The entire cast are phenomenal! Their voices are like angels, their harmonies blending effortlessly and their strength and passion shines through. You could not help but be drawn into the hardship and will to fight and yet be humbled. The audience will feel the hope and passion that uplifts and creates humility all at the same time. MADIBA the Musical received a standing ovation at the end … and deservedly so. Such an incredible Musical! 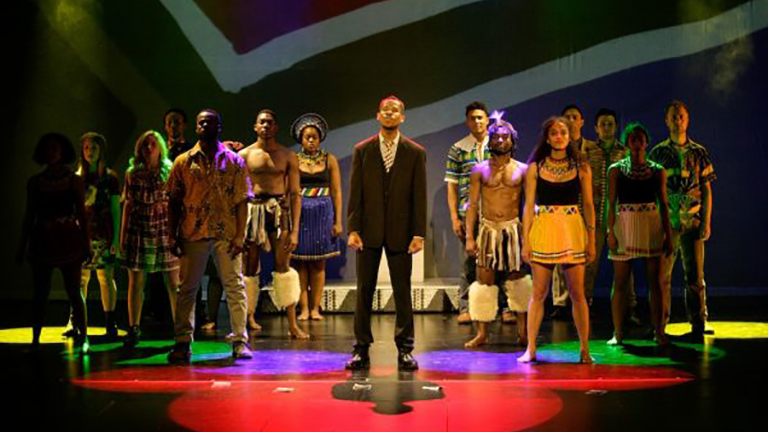 Madiba the Musical Opens in Melbourne! *By subscribing, you agree to receive email from the promoters regarding MADIBA MUSICAL and future events. Stay tuned for the latest news and future ticket releases.